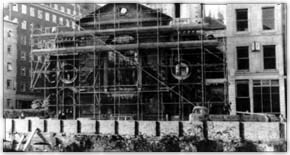 Wishing to commemorate Winston Churchill's visit to Fulton in 1946 while filling the void of an adequate campus church facility, Westminster began its reconstruction of Christopher Wren's Church of St. Mary the Virgin, Aldermanbury in the spring of 1964 as the Winston Churchill Memorial and Library. 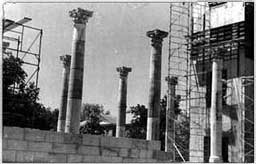 [In 2009, the Memorial received a congressional designation as the National Churchill Museum.] Fittingly, former United States President Harry S Truman, former Westminster President Franc L. McCluer and the other living members of the 1946 platform party joined British Ambassador Lord Harlech for the Memorial's groundbreaking ceremony that year. 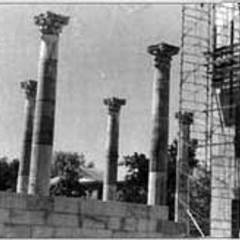 Although Westminster's Board of Trustees had determined the College would construct the Memorial at the site of the old West School on the comer of Seventh and Westminster, it seemed more appropriate to have the ceremony near the College's historic Columns. 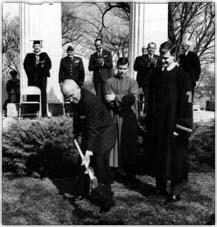 With a collection of the church's outer stones, flown in from London for the occasion, piled beside him, President Truman turned the symbolic first shovel for the reconstruction on April 19, 1964. 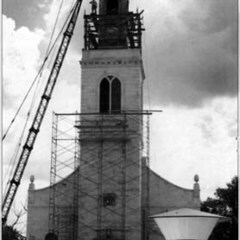 After nearly five years of construction of what the London Times called "perhaps the biggest jigsaw puzzle in the history of architecture," dedication ceremonies for the Memorial were held on May 7, 1969. 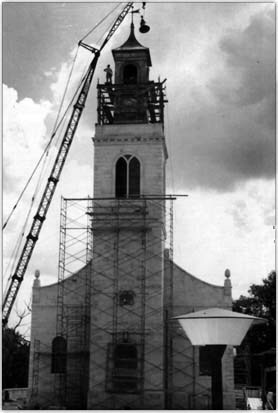 Following a parade led by 41 bagpipers from the St. Andrews Society of Kansas City and a luncheon catered by Vincent Sardi of New York, the official dedication ceremonies began within the Church of St. Mary. In a meaningful and highly ritualistic ceremony, the Right Rev. 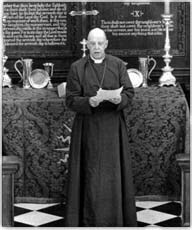 Anthony Tremlett, the Bishop of Dover, England, rehallowed the Church as a place of worship. 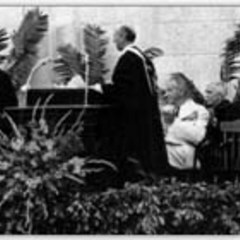 With this act completed, the platform party, Churchill fellows, faculty, trustees and other invited guests proceeded outside where a crowd of 10,000 waited on Westminster Avenue and along Seventh Street. Former British Ambassador Averill Harriman and the Earl Mountbatten of Burma, a member of the Royal Family and the Queen's representative, gave the principal addresses, both reminiscing about their experiences with Churchill and his importance to world history. 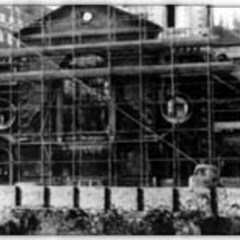 Special guests at the event included Mrs. Christopher Soames, Churchill's youngest daughter and the wife of the British ambassador to France, and her son Nicholas; John Freeman, the British ambassador to the United States; and former Missouri Governor John M. Dalton, who had headed the committee responsible for raising the funds for the Memorial. The ceremonies concluded with a benediction by the Rev. 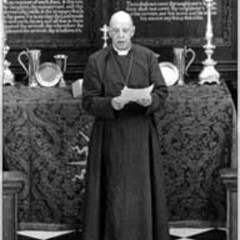 Dr. William B. Huntley Jr., college chaplain.